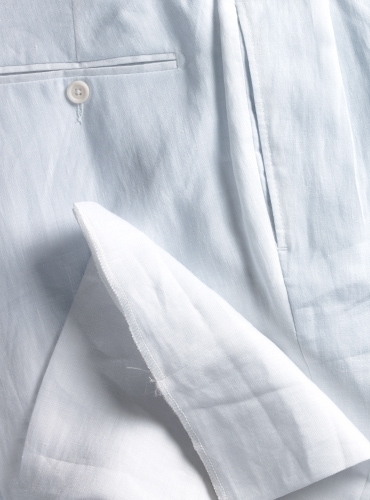 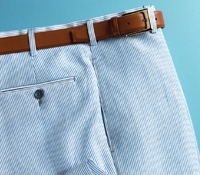 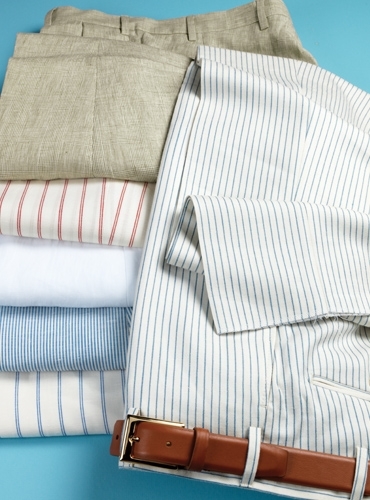 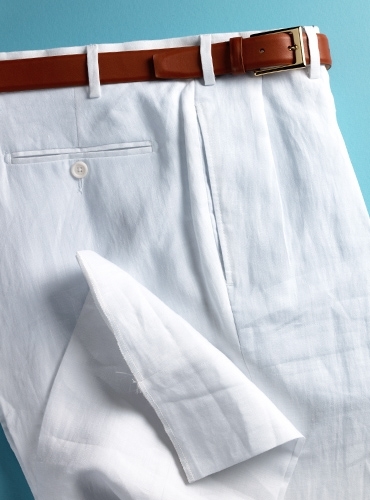 We are delighted to offer a unique collection of elegant and comfortable linen trousers, fully lined to the knee, cut from the finest English woven linen. 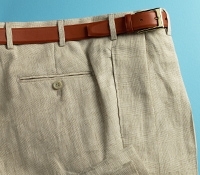 As with all of our trousers, cut in our own old world shop, with every detail the same on each pair of elegantly draping pants, in even sizes 32–44 and odd sizes 33–39. 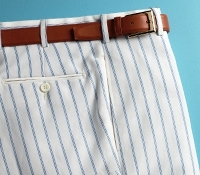 Solid white linen trousers available in both plain front, HLWP, and forward pleat, HLWF.